In space, no one can hear you take the last cookie! 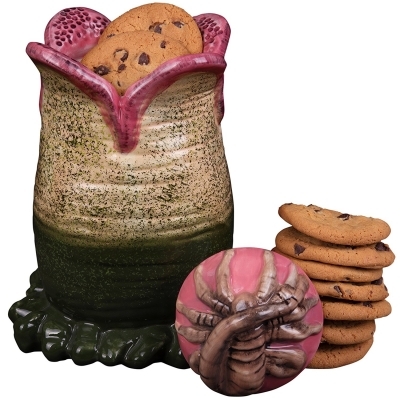 To be safe, protect your cookies in this Officially licensed Aliens Ceramic Cookie Jar based on the successful Aliens film franchise. 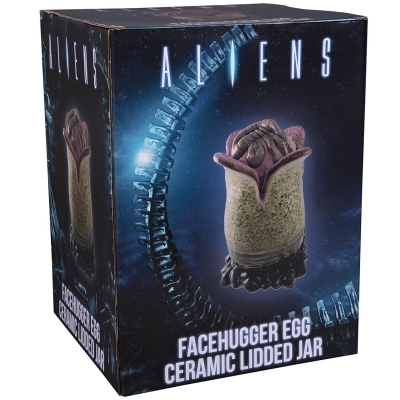 Make it look as if your hand is being devoured by a Xenomorph when you grab a cookie out of this Alien egg ceramic cookie jar! It’s expertly styled to look exactly like a Xenomorph egg – complete with a cool (and creepy!) facehugger lid. Makes a great gift for fans of the Aliens franchise.